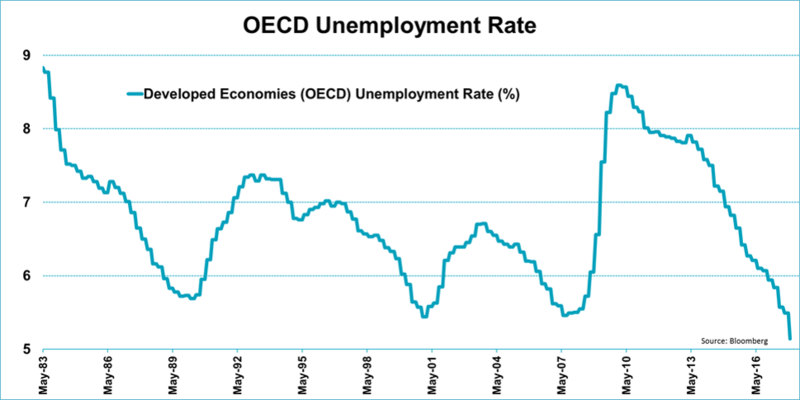 The average unemployment rate in OECD countries has fallen to a historical low of 5.16%. And yet inflation has failed to reach the levels targeted by central banks. As a result, economists around the global are wondering if the relationship between unemployment and inflation has broken down. 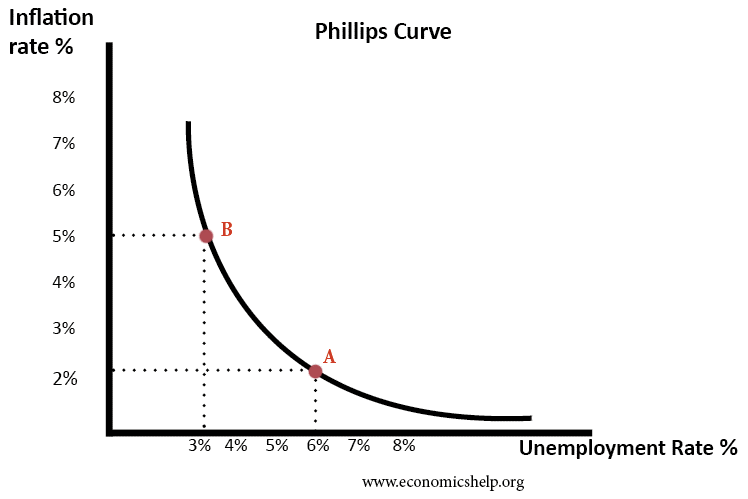 Doubts about the relevancy of the Philips curve, which reveals inflation should go up as unemployment falls, seem legit. History shows that inflation only starts to rise when unemployment falls below a certain threshold at which jobs become scarce. The fact that the OECD unemployment levels has fallen to a multi-decade low, suggests we should be way below that threshold. One possible explanation is that the drop in unemployment is largely explained by part-time and temporary jobs with lower wages. Why this was certainly the case in the first few years of the recovery, companies are now hiring more permanent workers. A second explanation could be that it takes time for lower unemployment levels to be reflected in higher wages and ultimately higher inflation. And this could ‘just’ be an unusual long period for inflation to come through. Whatever the explanation may be, I’m not yet convinced the relationship between unemployment and inflation is broken. However, now would be a good time for the Philips curve to show it’s still alive.